It is not you. 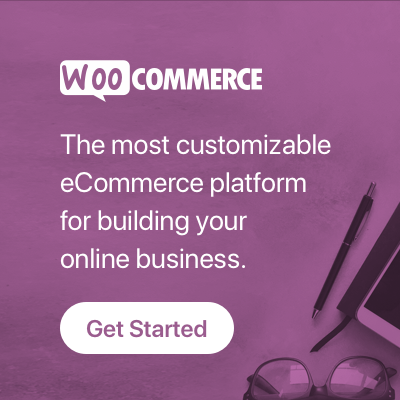 It is not your website. It is not your plugins. This is an error within the confirmation window. 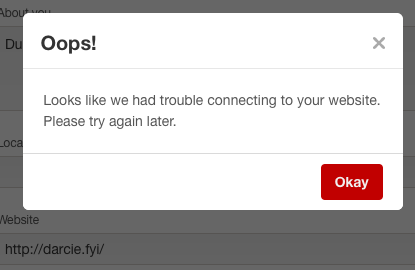 If you click from your settings page within Pinterest to confirm your site, you’ll get this error. Here’s the fix. That’s it. Go to that link. 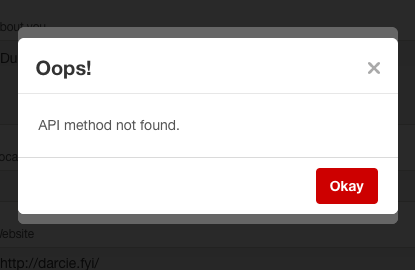 If you have installed the meta tag, just click Finish. If you tried to download the file and couldn’t, it’s available here. 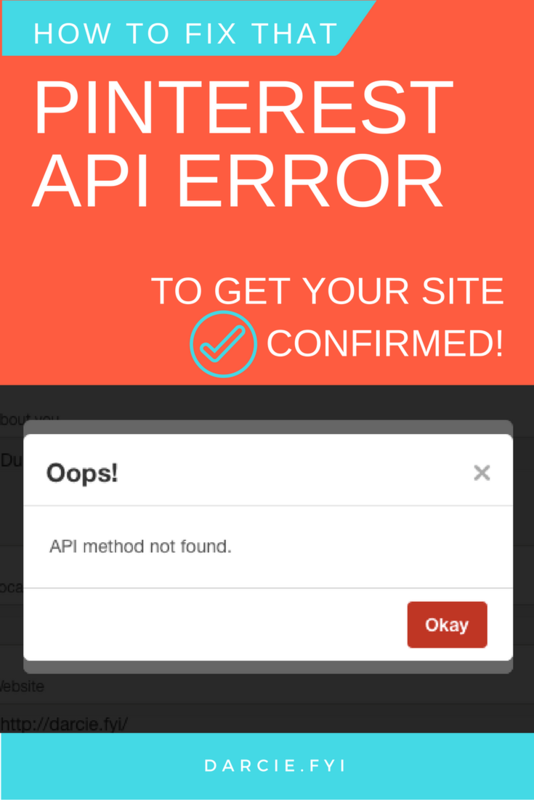 This page should work to confirm your site. If you’re having any other trouble, here’s the fix. Just contact the help center, and someone can help to confirm you. Don’t wait a day or a week for the error to resolve. Just write in for help. If you missed my earlier posts on how to add the meta tag really easily, check that out here. Hopefully this won’t be an issue much longer! But for now, it’s a good way to get the issue resolved. I’m guessing just posting this means the issue gets fixed soon because that’s how things go with me.